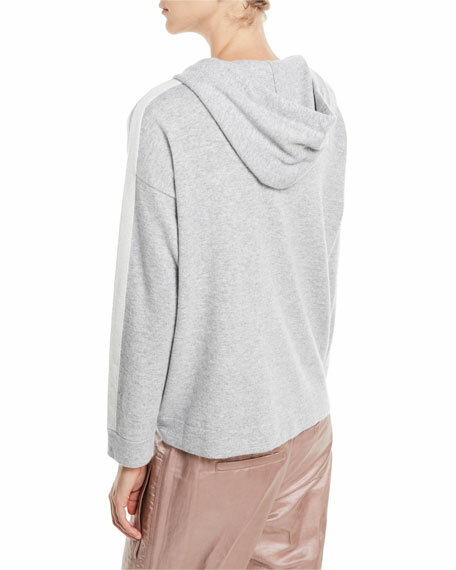 Brunello Cucinelli hoodie in 2-ply cashmere. V neckline with drawstring hooded collar. Long sleeves with stripe detail. For in-store inquiries, use sku #2421432. Exclusively ours. 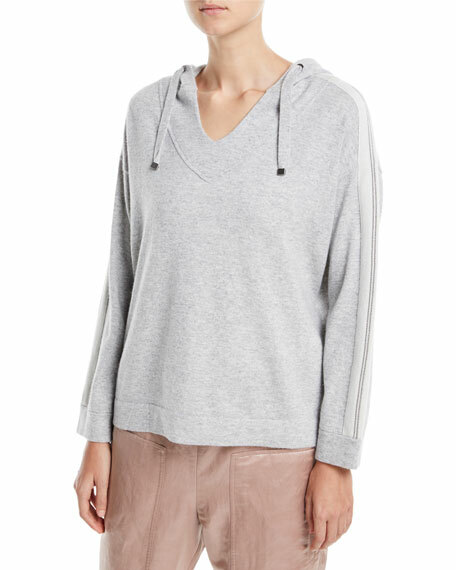 Brunello Cucinelli sweater in ribbed cotton knit, featuring textured paillette stripes. Crew neckline. Long sleeves. Semi-fitted silhouette. Hem hits hips. Pullover style. Cotton. Made in Italy.